Dan Agyei, Tunde Bayode, Jordan Cropper and Christian N’Guessan have all been offered new deals by Burnley with Ali Koiki having had his deal extended, but it is bad news for six more who the club have announced will be released at the end of the season. Those first four have all been regulars in the under-23s this season. 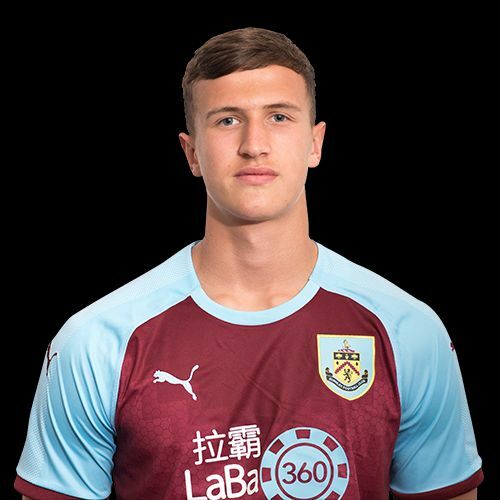 Agyei is the league’s leading goalscorer, Bayode has claimed the right wing berth while Cropper (pictured), who was on a scholarship extension, has cemented his place at right-back having started his Burnley career as a striker. N’Guessan, who has been with us since signing from Blackpool two years ago, has recovered well from injury and enjoyed a good second half to the season. Koiki is currently on loan at Swindon and the club have taken up the one year option on his contract while no decision has yet been made regarding either goalkeeper Adam Bruce or defender Scott Wilson. However, there is always disappointing news at the season’s end approaches and it is such for goalkeeper Aidan Stone, defenders James Clarke and Ed Cook, midfielder Mark Howarth, winger Marley Blair and forward Tinashe Chakwana. Some of those players have come all the way through the club’s academy and have all made positive contributions with, for example, only Agyei having scored more goals in the entire league than Chakwana. Under-23 coach Steve Stone, who replaced Michael Duff during the season, said: “The guys that we have looked at over the time have given their all. They have done everything they can. Everybody is different, but they have all tried to do it in the right way and they have been a credit to what the football club is trying to achieve. “Unfortunately for some, the standards keep rising. Premier League football keeps getting tougher and keeps getting harder to break through, and this is the toughest contract they will ever have to try and get. “The one from the U23s up to the first team is the biggest gap you will find in football. That’s why it’s been so tough and that’s why five or six of them have left, because it is a tough contract. It would have been easy for me to give them another year and say ‘development’, but for the boys I’ve let go, it’s time to go and play men’s football and play for three points on a Saturday afternoon. Up the Clarets would like to congratulate those players who have won new deals and, more so, would like to send best wishes to those players who will be leaving at the end of the season.